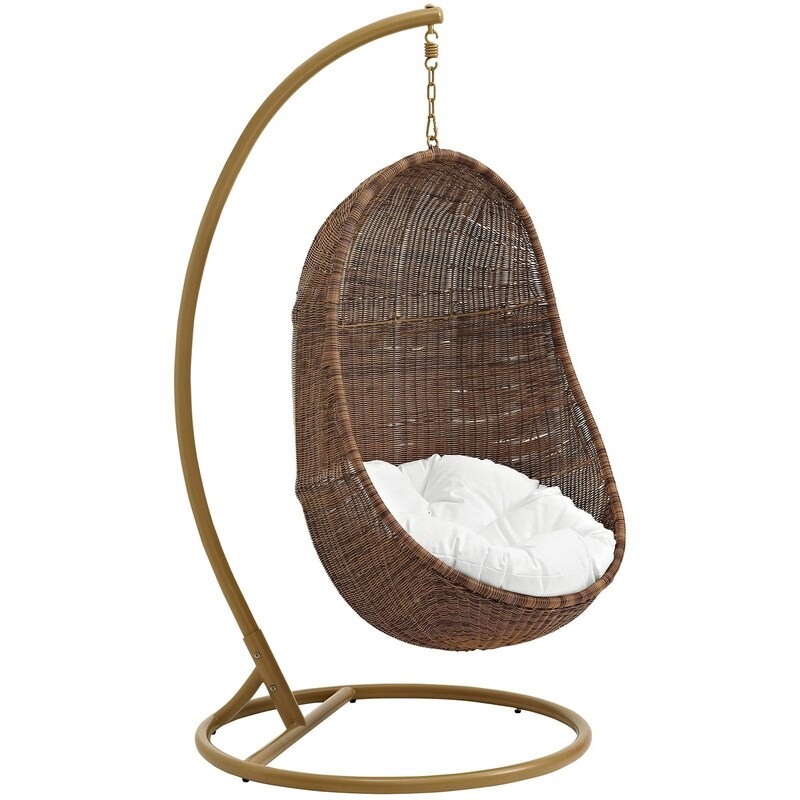 Escape to moments of silent contemplation and bouts of fancy with the Bean Swing Chair. Made with a luxurious synthetic rattan weave and plush all-weather white fabric cushion, Bean helps reintroduce the joys of childhood as you retreat to that favorite book or beverage. Bean comes with a sturdy powder coated steel frame and hanging chain apparatus that works well to enliven your patio, backyard, porch or poolside decor. 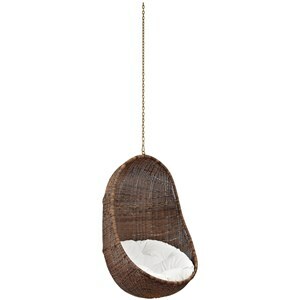 Stand-alone swing hammocks are also popularly used in indoor lounge, living or bedroom spaces. Bean is weather and UV resistant. The Bean Outdoor Patio Wood Swing Chair With Stand by Modway at Value City Furniture in the New Jersey, NJ, Staten Island, Hoboken area. Product availability may vary. Contact us for the most current availability on this product. Browse other items in the Bean collection from Value City Furniture in the New Jersey, NJ, Staten Island, Hoboken area.